Lee Sang-yoon reserved a seat for the next romantic comedy drama. He plays Cha Hyeon-seok in the tvN drama "Twenty Again". The first and second episode of the drama "Twenty Again" showed him reuniting with Ha No-ra (Choi Ji-woo) his first love. He resented No-ra for not recognizing him right away when they met on campus. He bullied her in his class when she couldn't answer a question of his. He said, "You can leave if you don't want to answer". However, he couldn't hide his feelings for her. Lee Jin (Park Hyo-joo) complained to him that No-ra was too old to be in her class and he snapped at her, covering for No-ra. Not only that, he mumbled to himself about the things he saw about No-ra and showed that he was worried about her. He seems cold on the outside but his feelings for No-ra remained the same. Unlike the heavy characters his played in the past, Lee Sang-yoon plays a livelier and comical role. 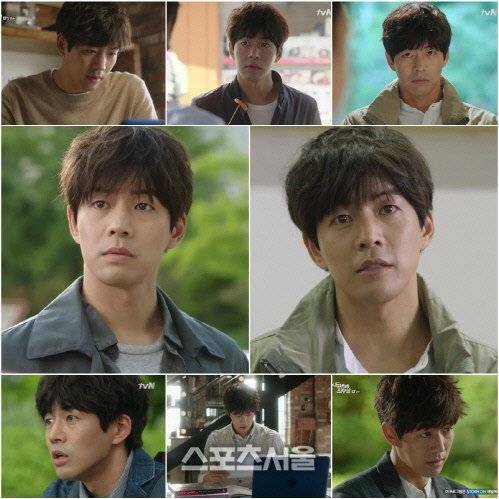 Lee Sang-yoon is the perfect actor for the role of Cha Hyeon-seok as he relates with the character and is able to blow life into him. Meanwhile, "Twenty Again" is a story about Ha No-ra who became a mother at the age of 19 and joins college after 20 years. ""Twenty Again"Lee Sang-yoon, the next romantic comedy king"
[Spoiler] "Cheo Yong: The Paranormal Detective - Season 2" Hyosung, "Possession is like being on drugs"